There are a huge range of societies on site that are all free to join and love welcoming in new students! Each society is made up of groups of passionate students with a shared interest and meet regularly to increase awareness of their cause, raise money for charity and have fun doing it! The links to their individual Facebook pages are below. ACA Rangers is a choir that is ran on a Wednesday evening between 6:00-7:00pm in the Bield Bar. This is a society for anyone who has an interest in music or singing. Students who participate in this sing a range of compositions developed and written by the society members. The choir performs at different events throughout the year and are currently looking at the opportunity to perform in competitions in the future. Creative Arts society meet every Monday between 1:00pm-2:00pm. The group work on various projects throughout the year and support with making the decorations for social events. Members within this society can take the opportunity to continue developing their skills or begin a new hobby. The bakery society runs on a Monday afternoon between 3:00pm-4:00pm within the Food Department. During this hour members bake cakes to sell for the RAG charity Diabetes UK. The society runs again on a Tuesday lunchtime between 1:00pm-2:00pm where a cake sale is ran by members of the society. Students can also join to bake cakes for pleasure. 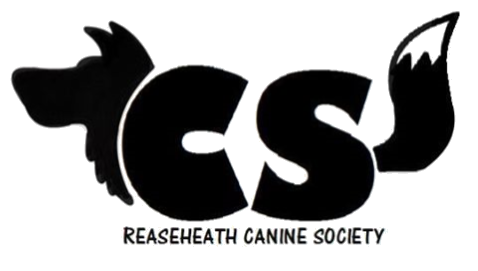 The Canine Society is for any individual who has an interest or simply enjoys the company of dogs. The purpose of this society is for individuals to meet and discuss anything around the subject of the animal. The Christian Union is open to any individual that looks to explore the Christian Faith. Currently the Society is exploring parts of the bible and developing a deeper understanding of the meaning behind them. The society is newly founded and are looking to grow and undertake some future charity work. 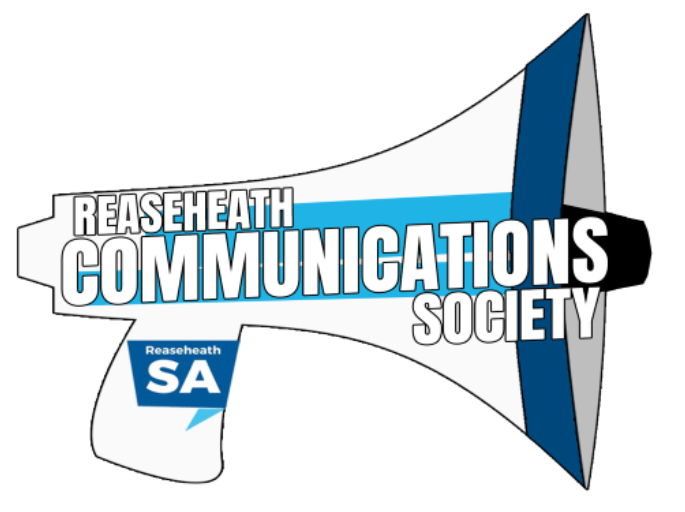 The communications society is responsible for promoting all aspects of student life. 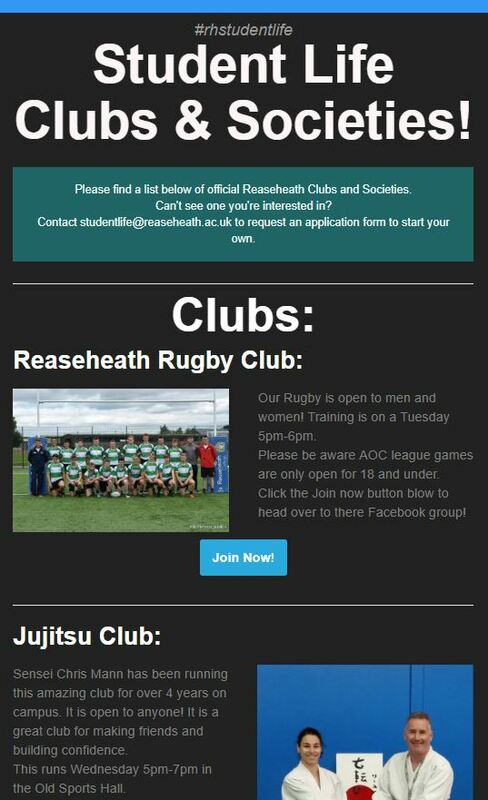 Members also use sources such as social media, vlogs blogs leaflets and posters to promote what5 the college offers. The society also supports the development and writing of the weekly student life coverage. 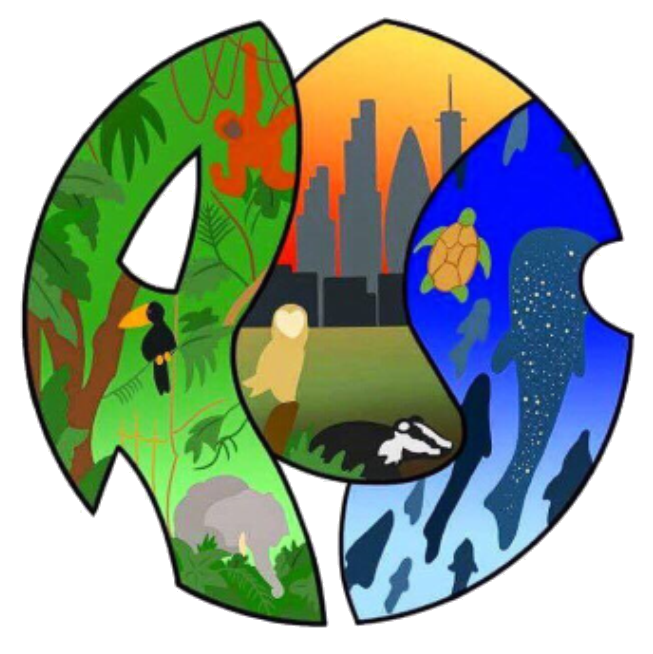 The Reaseheath Conservation Society aim to support local conservation projects, contribute the preservation for biodiversity, and promote the sustainable use and the enjoyment of nature. As well as this the Conservation Society also aims to promote the awareness of issues, deliver news on conservation tech & legislation, and raise money for selected charitable organisations. This society meets twice a week to plan, organise and run a structured and respectful debate. The subject of the debate will change weekly and all students are welcomed to offer their opinion. This will allow individuals to access others perspective on a subject in a civilised manner. All debates that take place will be monitored by professionals in the field. The DJ Society runs between 5:00pm-6:00pm in R’Club. Members will be developing their ability to begin a hobby in djing improve productions made or casually listen to and/or play music. This is a brand new society that would help members develop their acting skills and their confidence. Students would be participating in a variety of drama activities such as drama games and script reading. Evening Entertainments society are responsible for the organisation and running of evening events. They have weekly meetings whereby they discuss ideas for future events, decorate using appropriate themes for each event and promote them. 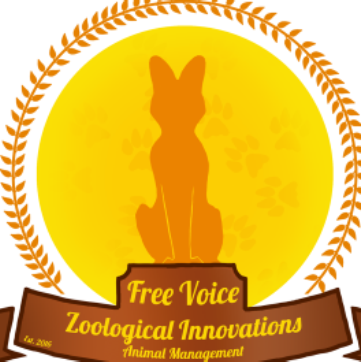 The Free Voice Society was created to allow students the opportunity to work with zoo animals, zoo keepers and professionals within the field. The aim of the society is to develop stronger skills to support the area in the future. This society meet up weekly separately from the wellbeing LGBTQPA+ group to socialise in a friendly, welcoming and inclusive environment to casually discuss topics in relation to this area in a respectful manner. This society meets weekly. The purpose of this society is to allow members to develop their photography skills and practice them. 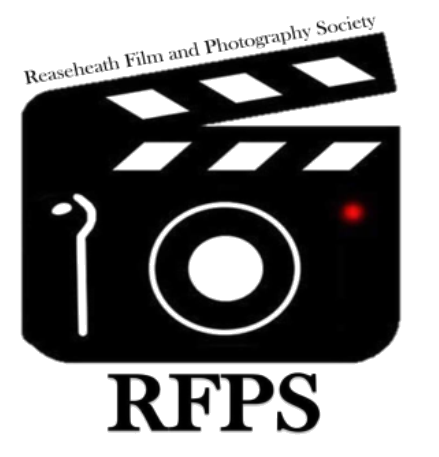 The society runs regular photography competitions for all students to participate in and receive prizes if competitions are won. college charity of the year. Click the images below to read the full issue!